By some culinary miracle, I kept all my fingers and the pie was delicious. I’ve made one almost every year since then. 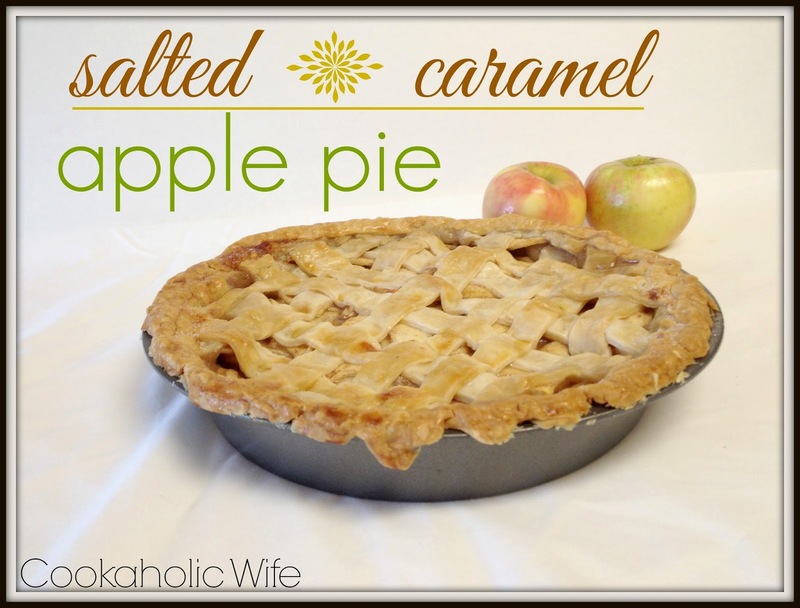 This time I wanted to shy slightly away from your standard apple pie and add in some salted caramel. I’m sure to some people ‘salted caramel’ was so five years ago but it is still one of my favorite flavor combinations. 1. Make the pie crust by combining the flour, sugar and salt in the bowl of a food processor and pulse to combine. Add in the butter and pulse until the mixture resembles coarse crumbs. Add in the water, a tablespoon at a time, and pulse just until the dough comes together. 2. Remove dough from the processor and form into two evenly sized discs. Wrap in plastic wrap and refrigerate for at least 2 hours. 3. Remove one disc of dough and roll out into a 13-inch circle on a lightly floured surface. Drape the dough over a 9-inch pie plate and gently press into the bottom and sides of the pans. Return to the refrigerator for 30 minutes. 4. Prepare the filling by tossing the apples together with the lemon juice in a large bowl. Place in a colander and allow to drain thoroughly. Mix together the sugar, cinnamon and nutmeg in a small bowl. Return the apples to the large bowl and toss with the cinnamon sugar mixture. 5. Remove the dough-lined pie pan from the refrigerator and use a slotted spoon to make an even layer of apples. Drizzle with the salted caramel. Repeat another layer of apples and caramel until all are used. 6. Remove the remaining disc of dough from the refrigerator and roll out to 1/4-inch thick on a lightly floured surface. Cut 1-inch strips of dough. Place over the pie in an alternating fashion to create a lattice top. Trim away excess dough and/or press into the edges of the pie to crimp. 7. Freeze the pie for 30 minutes. 8. Preheat the oven to 350 degrees. 9. Place the chilled pie on a rimmed baking sheet. Brush lightly with an egg wash (egg and water whisked together). Bake for 30 minutes or until the crust is golden brown. Cover the edges with a pie ring or wrap with foil and return the pie to the oven for an additional 30 minutes. 10. If the crust is much lighter, remove the ring and cook for 5 minutes more to get an even color over the pie. 11. Cool on a wire rack to room temperature. 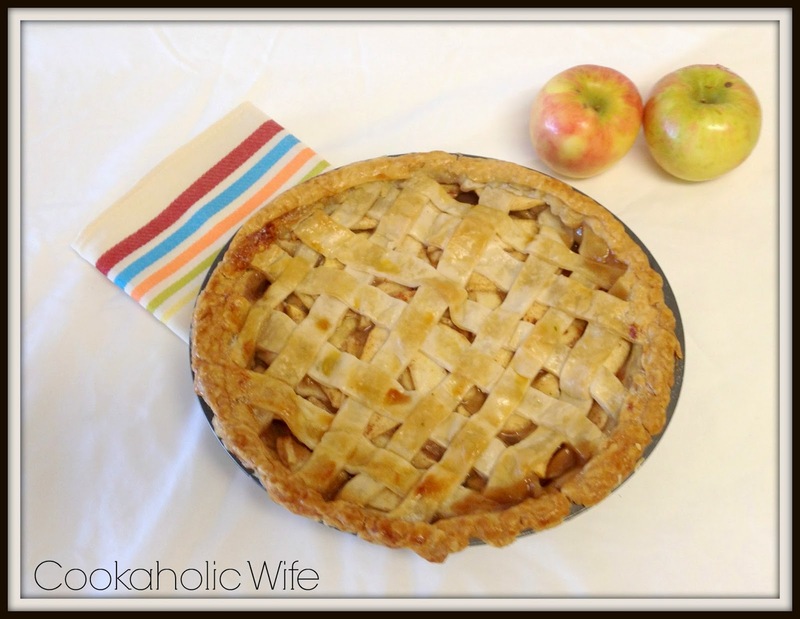 Covered pie can be kept at room temperature or refrigerated for 2 days. Salted caramel is by far one of the best things you can add to an already delicious apple pie. This may just be my new favorite way to make it!